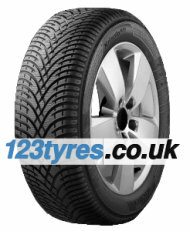 123tyres.co.uk offers the best summer tyres at reasonable prices. Cost-conscious motorists will make a find as well as fans of premium products. The wide range includes all major tyre brands, such as Continental, Michelin and Dunlop in different price ranges including many test winners. These are regularly chosen by automobile clubs and media, and are a good guide for purchasing tyres. Often the most expensive products not necessarily win. A good price-performance ratio is what you should look out for. It makes sense to use summer tyres between Easter and October as tyres are always designed to get along well with the weather and road conditions of the season. Summer tyres have to withstand the heat, but also provide safety in the rain. The rubber compound is appropriate and should not wear out too quickly - that would happen, however, with winter tyres used in the summer. In addition, they have a higher rolling resistance, which skyrockets the fuel consumption. Have a look into the vehicle documents to find the right size for your new summer tyres or just look at the old tyres on whose edge is the standardised tyre designation. As one of the leading UK tyre experts, we sell thousands upon thousands of summer tyres each year, which offer excellent grip even on wet roads. Even during the summer season, you might find yourself faced with slippery roads, which is why a sturdy, durable tread is so important. You may also have a look at variety of all-season tyres. When shopping with us, you can score low prices without sacrificing the quality of your tyres for the summer months.